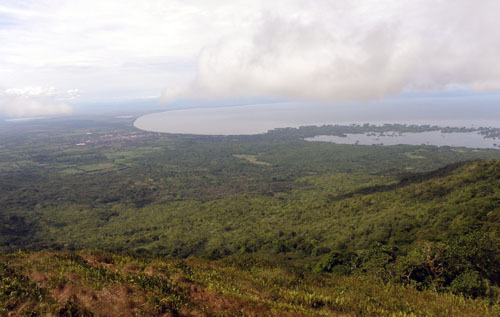 Although Mombacho volcano is classed as active it has not erupted since 1570 and therefore has a very dormant feel to it. The only giveaway that this volcano is still active are the pockets of hot air that can be felt coming out of the soil near the otherwise very green and peaceful crater’s edge. We decided to take a tour to the volcano and were again lucky enough to have the bonus of a private tour, due to low season, at no extra cost. 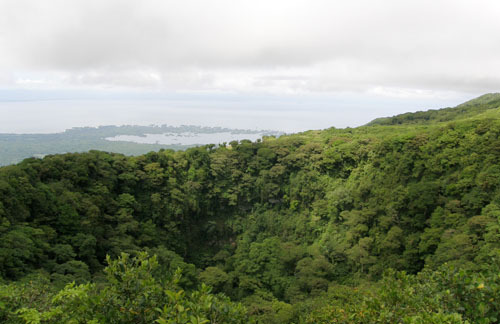 We were picked up at our hostel and driven up to the ecological station near the crater. From here we took a very comfortable and relaxed 2 hour trail around the main crater. The area is very peaceful and the cloud forest keeps you cool even when the sun is out. There are clear, easy to follow paths allowing you to gently walk around and enjoy your surroundings. The biggest appeal to the tour is the views. 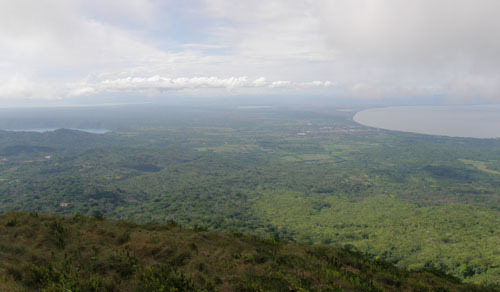 From around 1,100 metres high you are greeted with extraordinary views of Granada and the surrounding landscape, including Lake Apoyo and Lake Nicaragua as well as the steaming Masaya volcano. To ensure the best weather we opted for the 12.30pm tour which lasts 4 hours and were lucky enough to have perfect weather for the duration of our time there. 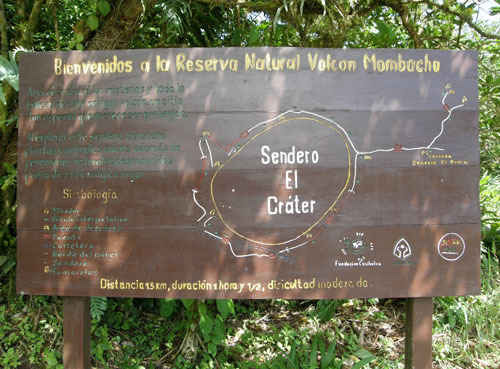 If you are feeling particularly energetic you can opt for the 4 hour puma trail which goes around the second crater of Mombacho, however for this you will need to have a guide with you which you can easily arrange for at the station and it is not included in the tour. The trail was by no means strenuous and it was nice to go at a slower pace and really enjoy the scenery. This is another tour that we would recommend!